We have some exciting news! 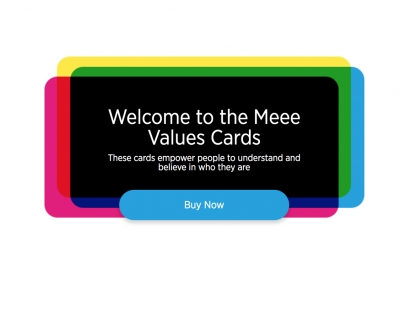 Here at Meee HQ we have been busy working on turning our much loved Values Cards into an online exercise for everyone to sign up and take part in. We understand that an integral part of what we do is helping others in believe in who they are and that all begins by getting in tune with what matters to us most. In simple terms, your values are things that you hold dear. If you like, your values could refer to your loyalty, friendship or need to achieve. Values are our moral compass, things that guide us in different directions throughout life and stay with you through every up and down. It's what is important to us individually. Our values are incredibly important. If you can understand, nurture and connect with your values, you will discover more about yourself, about what you want out of life and most importantly, you can start creating the kind of life you want to lead. It's a chance to sit back and really get in touch with yourself. Too many of us don't put aside time to spend time with ourselves in reflection and this can really hinder your personal development. The Values Cards exercise helps you get that much needed space to think openly and frankly with the person who knows you best - you! All too often we live on autopilot. So this is your chance to stop and think about what really matters to you. In just a few minutes, you’ll begin to see yourself – and your future – in a new light. Sign up to our new Values Cards game here! Take 15 - 30 minutes out of your day to complete the exercise and you, yourself will notice a huge difference in your mindset. 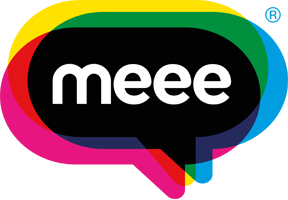 In our new book, Meee In A Minute, we have a whole chapter dedicated to the importance of our values and our Values Cards exercise. You can buy your copy here!